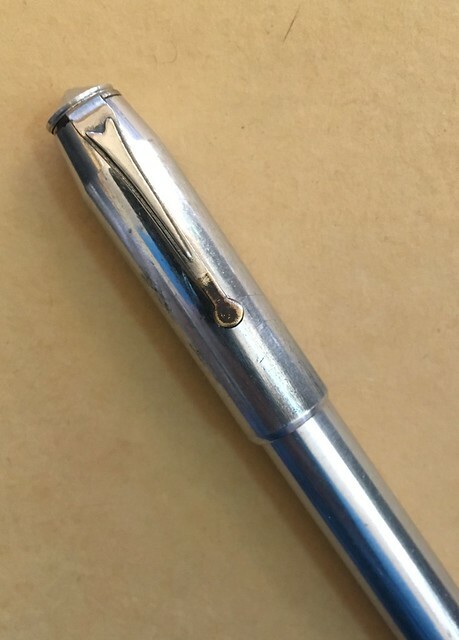 I just bought a pen from that well known online auction site, as I was too intrigued by it not to. The nib is a springy fine 14 ct Warranted nib. 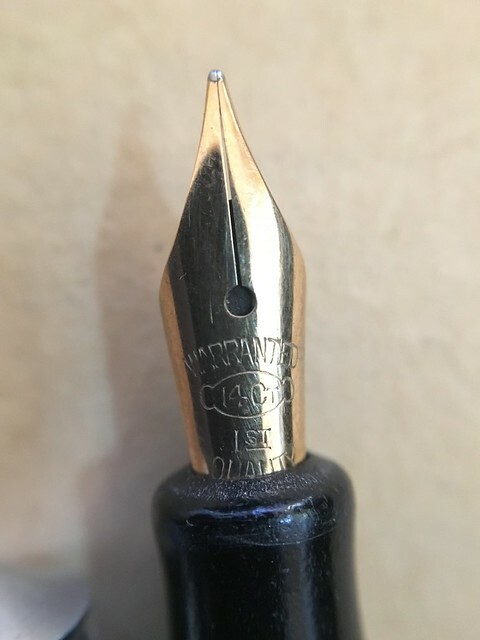 No markings anywhere on the pen other than the nib imprint. I have a very similar pen - slightly different button, cap end and clip, but the same overall appearance, including the section shape. Mine is marked 'The Durable Pen' and 'Made in England' but I wasn't able to ascribe it to a particular company. Closest possibility was the Desmond Precision Co Ltd, who are listed in TEFPI as producing a 'Durable' ballpoint pen in 1947. 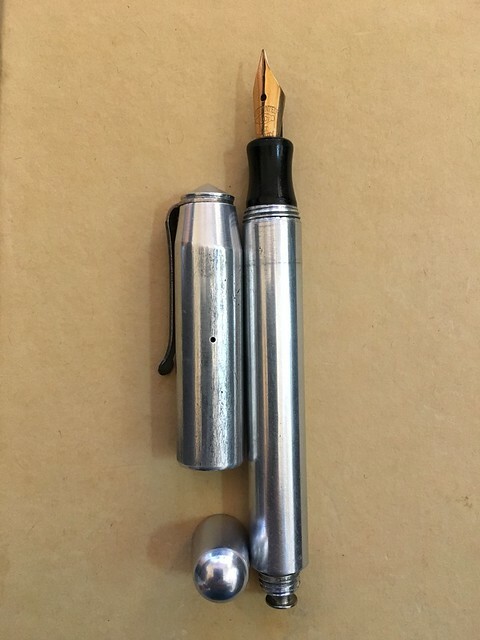 Other aluminium pens of the same era (late 1940s) were the Homelink pens made by Kagan & Co. These were available in aluminium, polished silvery colour or anodised in various colours, which would have been quite pretty I think. All the Homelink pens appear to have been lever fillers, so I doubt this is one of theirs. Edited by AndyR, 11 February 2019 - 04:01 PM. I’m having an absolute bugger of a time getting the section out - do you think there are any particular risks of carrying on with dry heat and trying to unscrew it? Mine has just been lying in a drawer for years as a curiosity, so out of solidarity, I thought I'd have a go at removing the section as well. Same problem as you, it won't show any signs of shifting. It feels glued, but it can't be shellac - you can apply plenty of heat (more than you might with a plastic barrel) and because of the thermal conductivity of the aluminium, that heat should have transferred directly to the joint between barrel and section and so be more than enough to soften any shellac. I'll keep trying, and report back if I have any success! Duofold button filler breather tube?